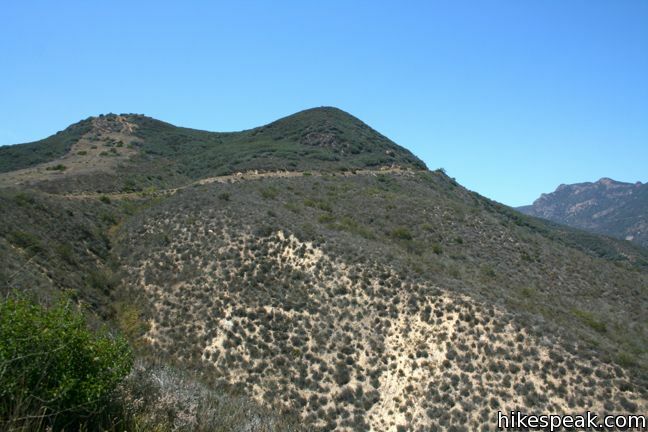 Zuma Ridge Trail (also known as Zuma Ridge Motorway) is a wide dirt service road that weaves northwest up the ridge west of Zuma Canyon. 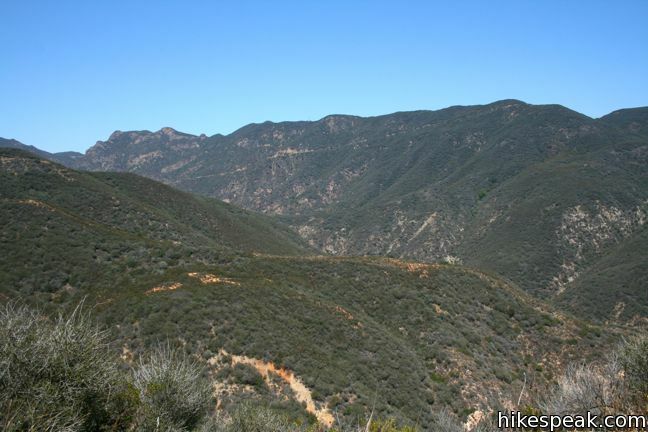 The hike starts at the base of the flood plane, but quickly leaves the shrubby canyon for grassy mountain slopes. 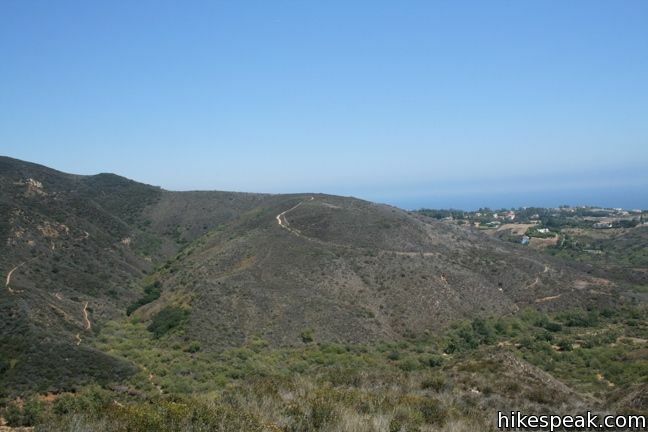 The views improve as the trail climbs, offering several great lookouts over Zuma Beach, Point Dune, Malibu High School, and the ocean beyond. Zuma Ridge Trail swings north providing long views west of Trancas Canyon. 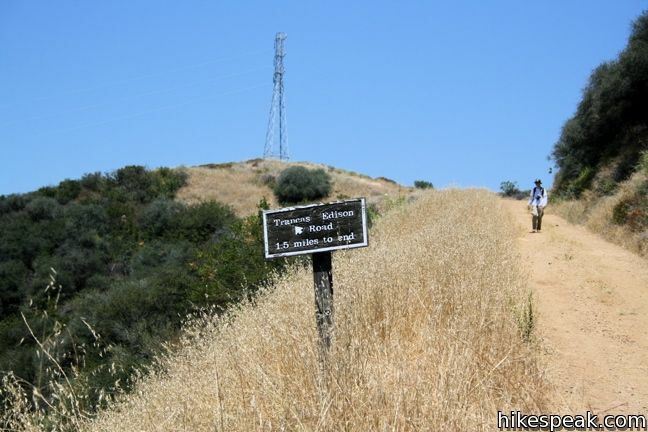 After 2.7 miles (and 1,390 feet of elevation gain), the trail comes to a marked intersection with Edison Road. 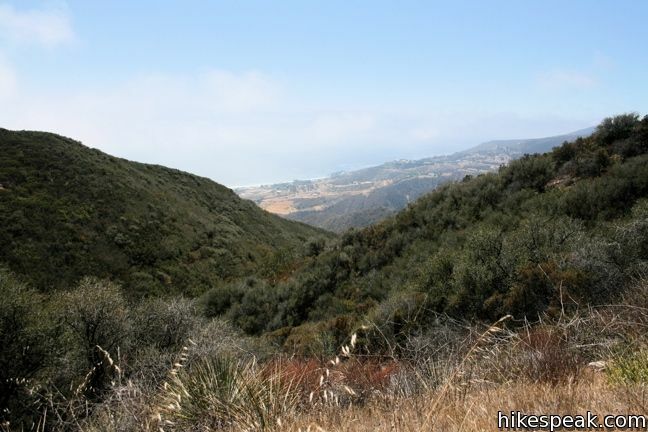 Enjoy this perched view of Upper Zuma Canyon and evaluate the options. 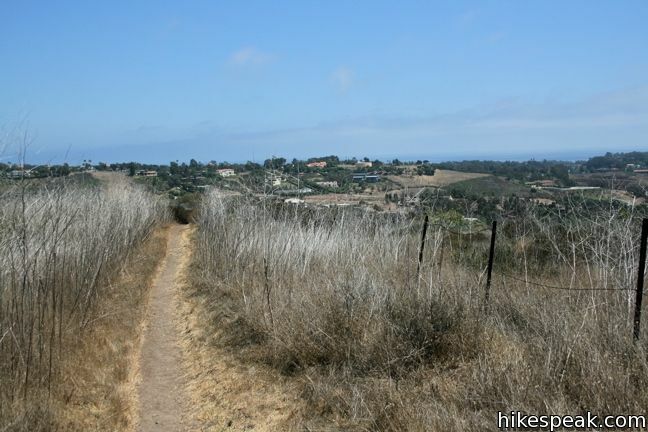 Option 1 (the obvious one) is to turn around, for a 5.4-mile out-and-back hike. 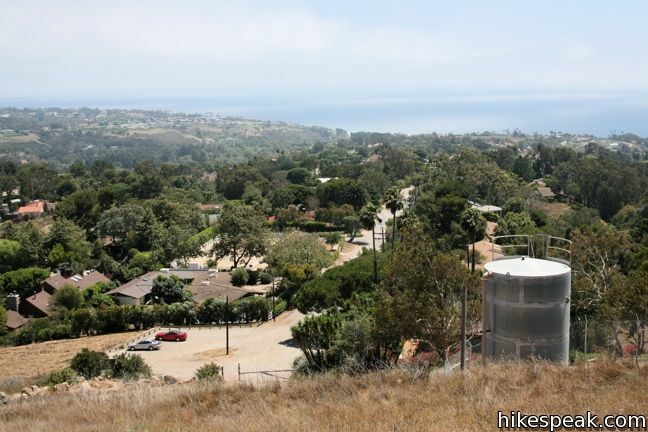 Option 2 is to continue straight ahead and hike an additional 3.2 miles to Encinal Canyon Road for a possible car port. 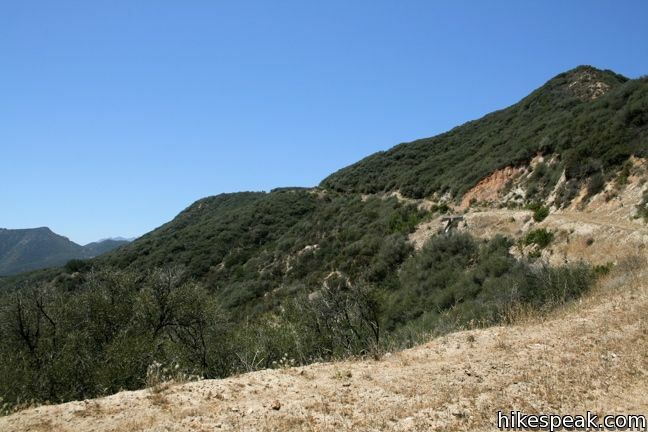 Option 3 is to turn right on Edison Road and take the long way home, dropping down into Zuma Canyon and climbing up the opposite ridge. 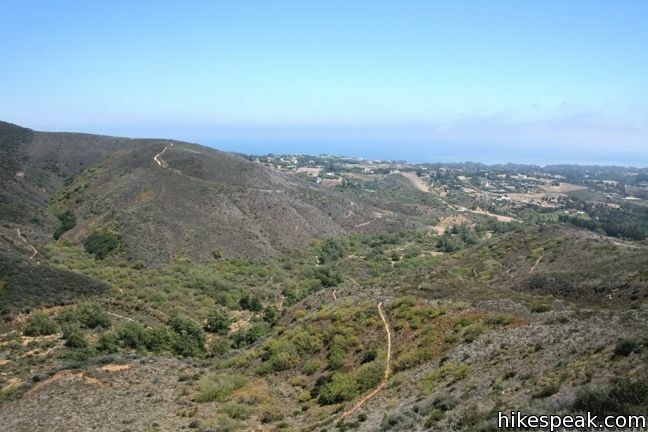 To complete this 10.6-mile loop, hike Zuma Edison Road for 3.9 miles and turn right on the Zuma Canyon Connection Trail, Take this to Ocean View Trail and descend to the Bonsall Trailhead. 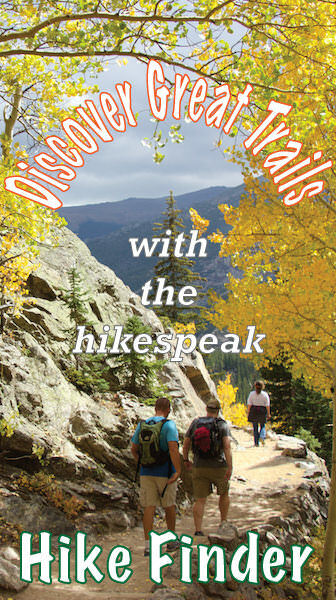 To return to the Busch Trailhead at the base of Zuma Ridge Trail, take the 0.6-mile Ridge-Canyon Access Trail (off the Zuma Loop Trail). 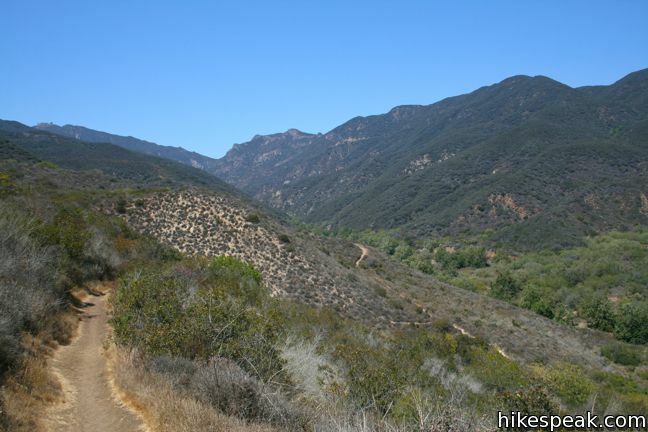 Option 4, typically completed in the opposite direction, involves an off-trail trek through the Zuma Canyon narrows to get back to Zuma Canyon Trail for an 8-mile loop. 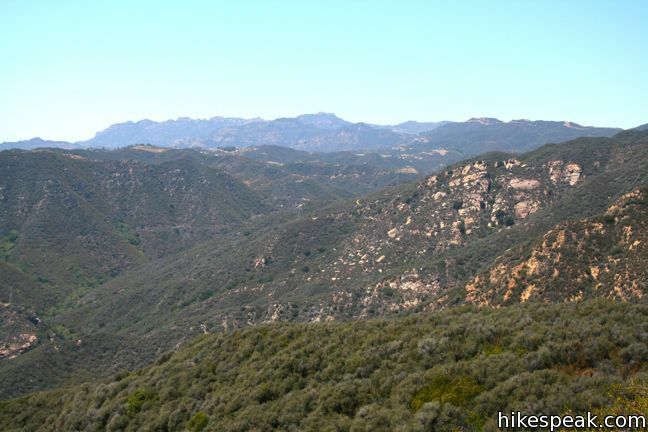 Zuma Ridge Trail leads to less-traveled corners of the Santa Monica Mountains. Dogs and bikes are allowed. 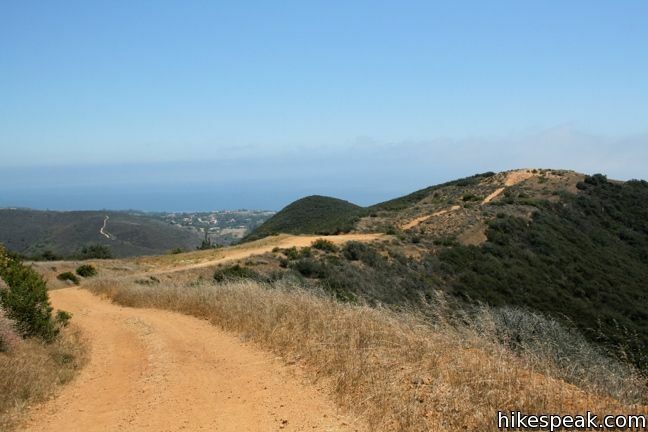 Parking at the trailhead and the views of the Pacific are free, so get out and enjoy! 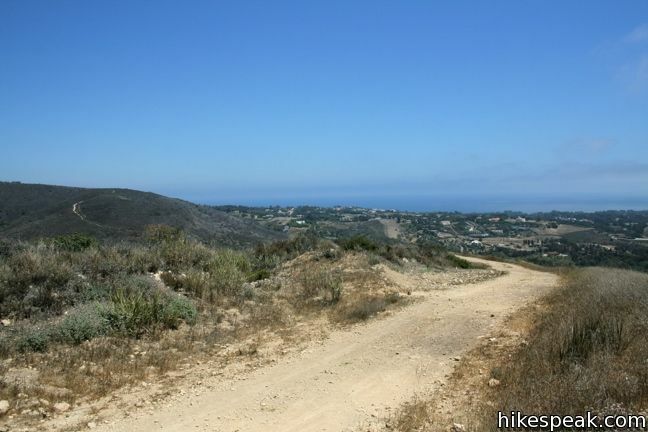 To get to the trailhead: Follow PCH to Malibu and make a right on Busch Drive (about a mile west of Kanan Dune Road and just before Zuma Beach). Drive north on Busch Drive, turning right at the second intersection to remain on Busch Drive. The trailhead starts at the dirt parking lot at the end of the road. 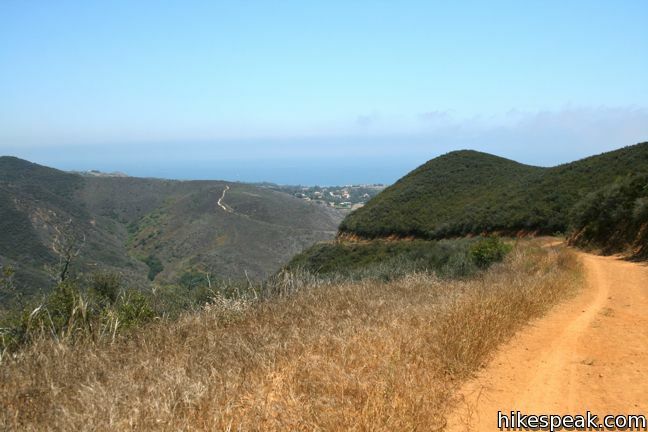 Zuma Ridge Trail is also reachable from the adjacent Bonsall Road Trailhead, which also services Zuma Canyon. 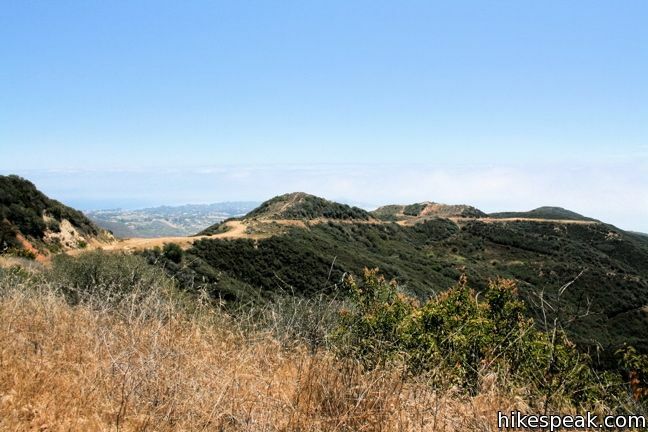 Those starting from Bonsall Road should take Zuma Loop Trail, which connects to Zuma Ridge Trail after 0.4 miles. 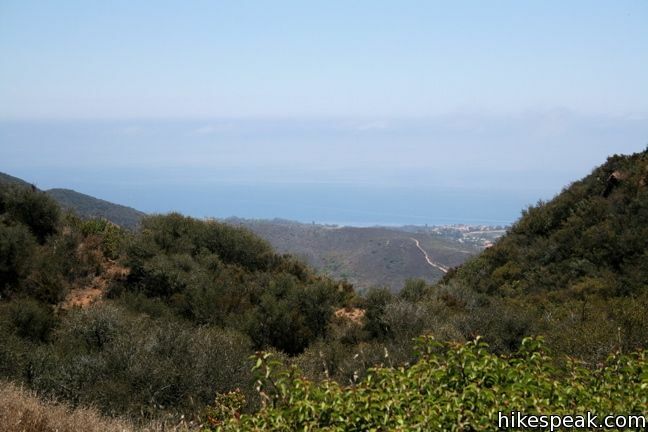 This steep out-and-back hike rewards the effort with excellent views of the Pacific Ocean. Yes. You are welcome to bring your dogs. This is an excellent resource. I used this site for directions. Option 1 was my goal. I traveled to the Los Angeles area over spring break last week with my two dogs. This hike was on my schedule. Unfortunately, not only did a large van full of people pull up right next to me at the trailhead parking lot, but the drizzle and fog got more intense after I arrived. I ended up hiking down into the canyon for a three-mile loop before resuming the ascent to the first peak, making for a figure-eight loop hike of just under five miles. This is gorgeous country. I was baffled by how remote the hike felt, despite being so close to hillside homes. I plan on coming back here when the weather is more conducive to good hiking with dogs. The fog kept us all cool, but under sunny skies, the exposure would be uncomfortable. One negative: one of my dogs was attacked by nymphal ticks. I thought I had gotten them combed out of his thick fur that night in the hotel room, but two days later, after an intense bath with tick shampoo, I found over 30 more. I live in far southern Arizona; ticks here are only a problem after an intense monsoon season. If you take your dogs out this way, be aware of ticks and use appropriate measures. Don’t let the ticks keep you from exploring this beautiful country. Is the trail opened in the month of February 2019? Thanks. This park is still reporting as closed.